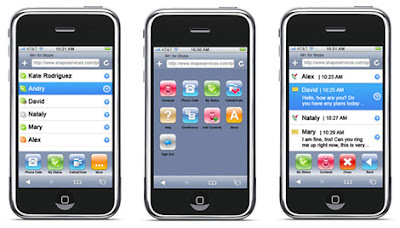 Do you find difficulty in finding applications for your iPhone? Well, I have good news for you. You can now mod your iPhone using various applications. There is a special forum developed for you people. It contains various applications that you can download. It also provides iPhone SDK (Software Development Kit). Moreover, you can also be one of the SDK Developer by submitting your applications to this forum. You can download different wallpapers, applications, talk about iPhone accessories and get many new things posted by different SDK Developers on this site. So, all you need to do is just log on to the forum and register yourself and start downloading stuff for your iPhone. According to me, its the best thing that you can get for your iPhone.